Baklava is a Turkish delight easily available in Middle east,especially during the Holy Month of Ramadan. 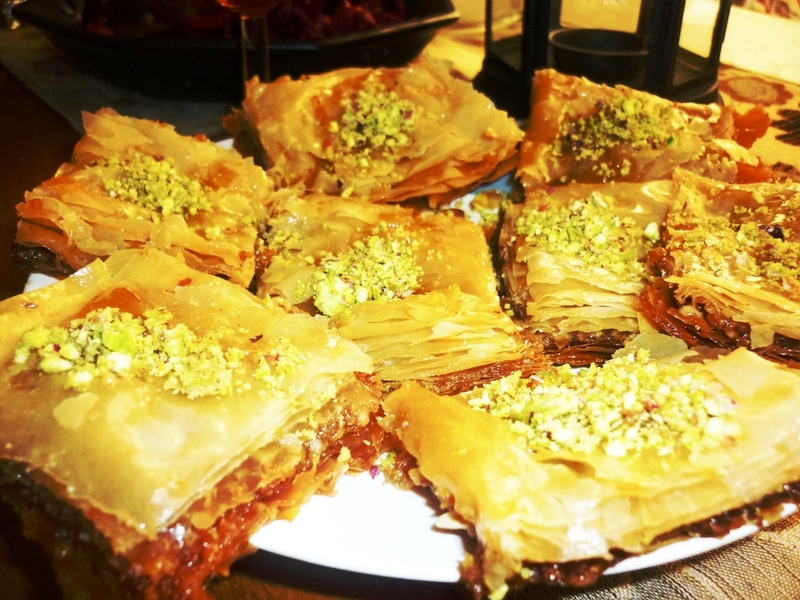 It's a royal dish enjoyed at celebrations in Middle East,especially the Iranian Baklava,the one with Pistachio nuts filling. 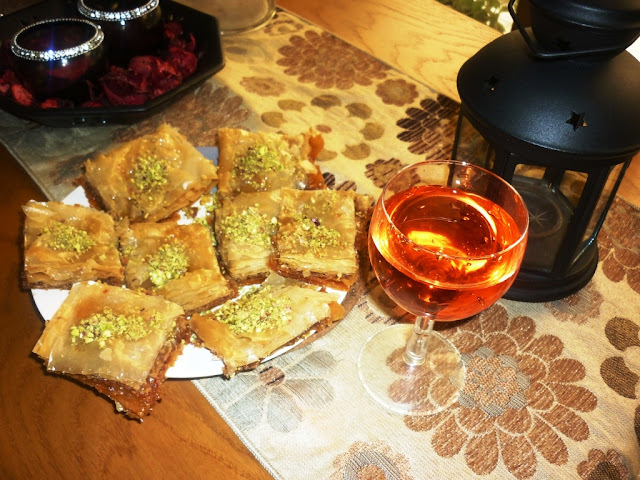 The word Baklava in Farsi means 'many leaves' and to make it,layers of Phyllo pastry sheets are baked along with mixed nuts filling.It may seem to be a job only can be done by big Chefs,but anyone can make it as I tried it and came out very delicious and easy. Many varieties of Baklava is available,secret of some recipes are also said to be passed down with in traditional family members only. 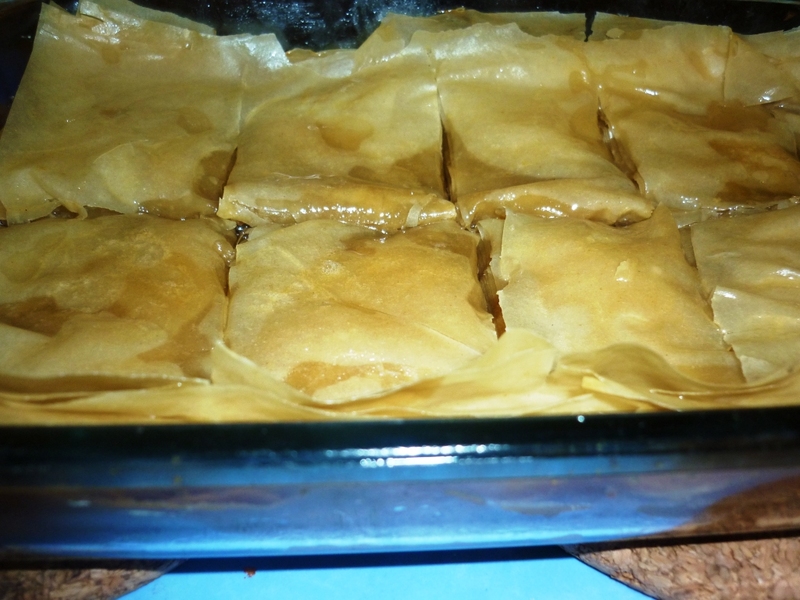 Anyways,I tried this recipe and I got the same taste as the one I found in the stores in Middle east. Please try this,its worth the effort. 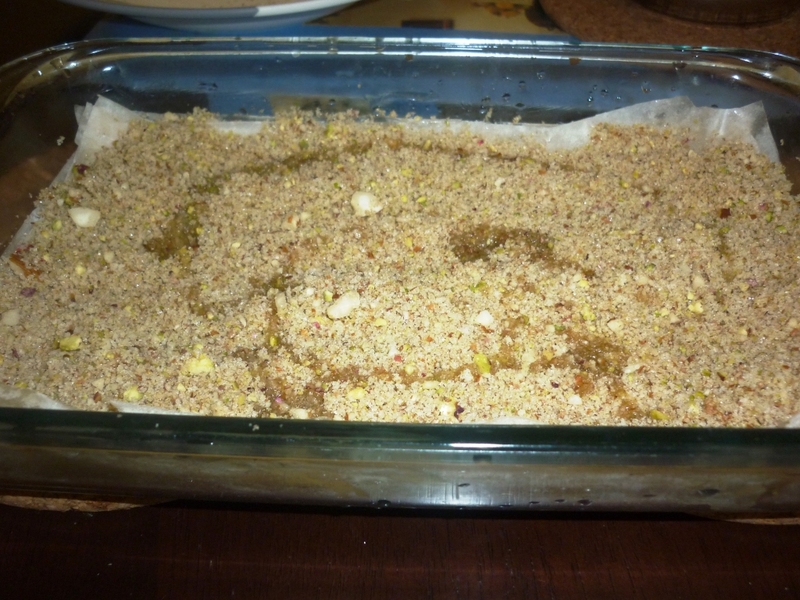 This is how I made the sweet and came out really good. 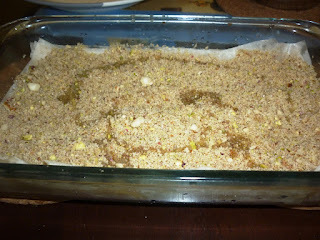 1.Apply butter and prepare the baking dish. 2.Preheat the oven to 180 degrees. 3.Mix all the ingredients given under filling. 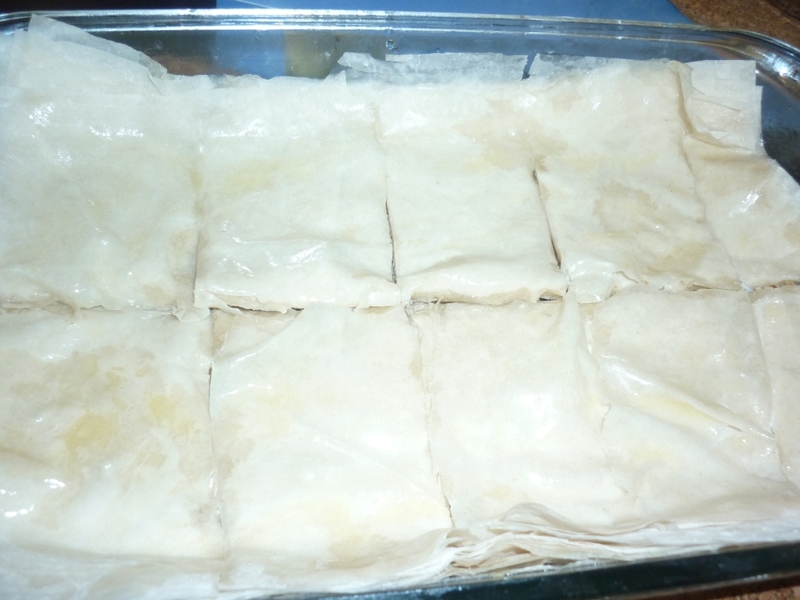 4.Layer 2 sheets of Phyllo pastry (1 sheet cut into 2 equal halves can be used),in our buttered baking dish. 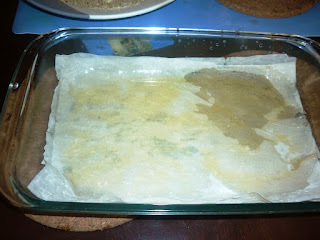 Cut the sides if they are not fitting inside the baking dish.Brush butter on these sheets liberally and layer 2 more sheets and again repeat the process until 8 sheets . 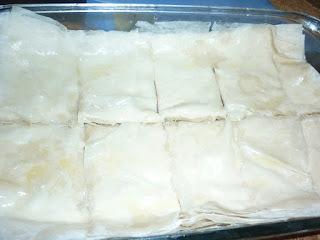 Now spread the entire filling evenly and pour some butter on the filling. Place 2 more layers and brush butter on the layers.Repeat this process until you get ten layers of pastry sheets for top layer. 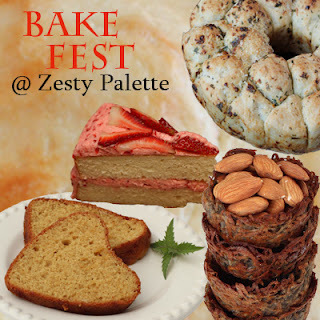 Cut pastry into square or diamond shape. 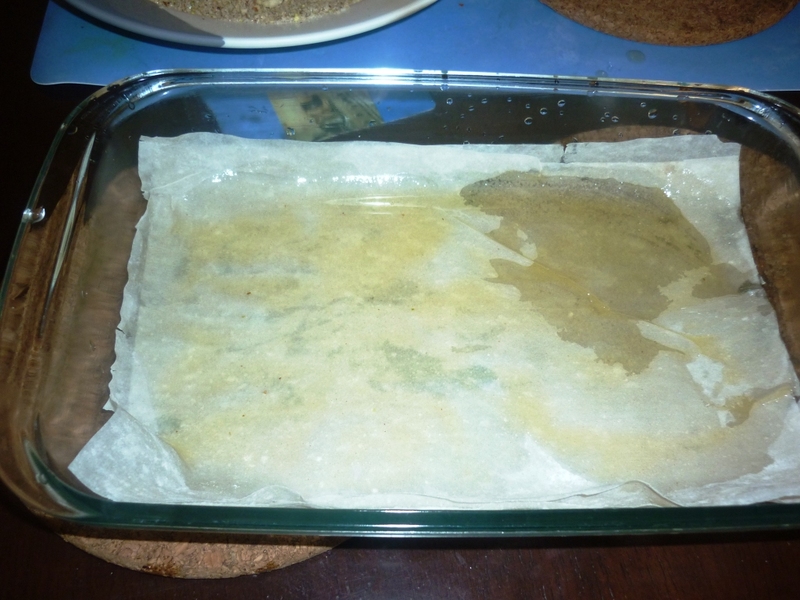 Pour all the remaining butter on top and bake at 180 degrees until the top gets a golden brown color. 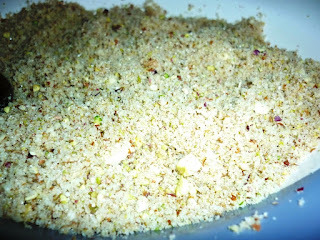 5.Now make a syrup with sugar,water and honey.Add cinnamon powder to this and pour on hot,freshly baked Baklava to soak it in syrup. 6.Keep aside for 1/2 an hour-2 hours. You will get the most delicious,royal dessert in the world!! 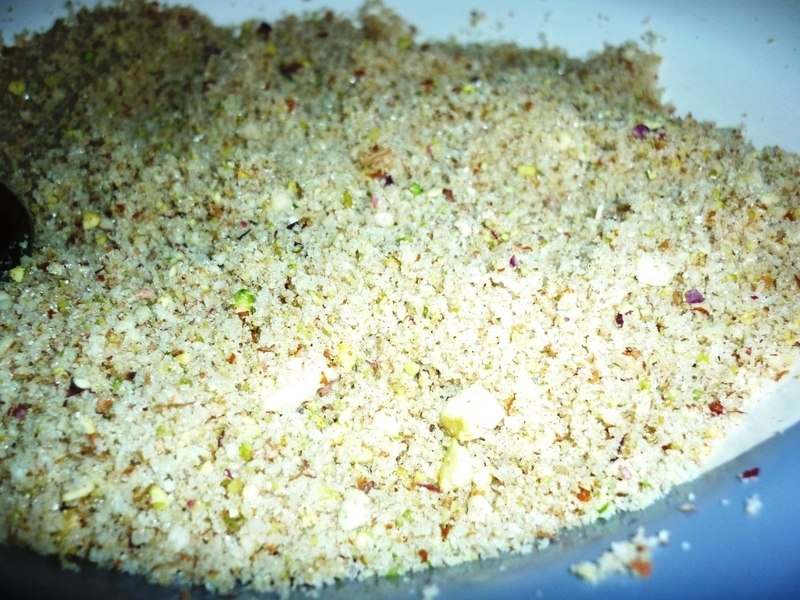 One wonderful dessert that is :) my favorite among the many arabic sweets! Very yumm ,I too love this!! 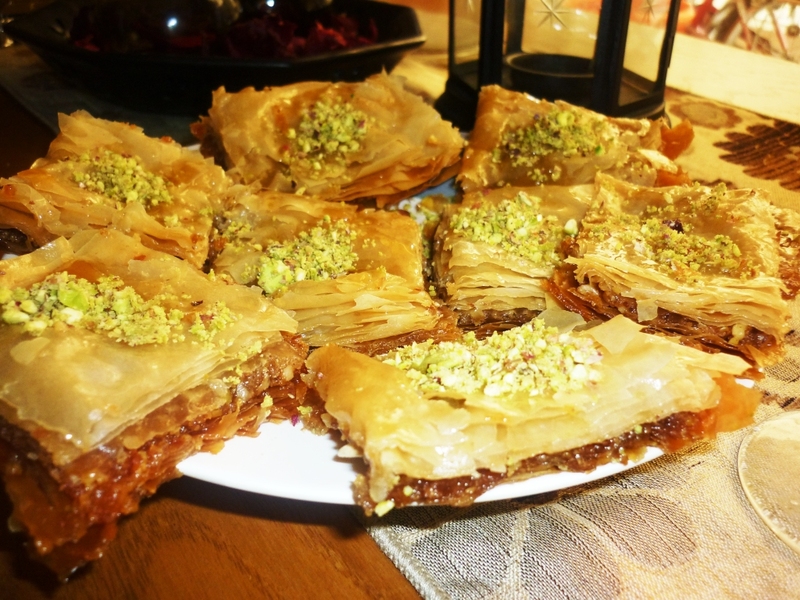 This baklava looks delicious. I hadn't realised it could be made so nicely at home. Baklava looks crunchy and yummy. Wow this is delicious. How I wish I could eat some of these right now. Thanks for linking dear.